Michael Aspel and a team of experts examine curios and artefacts offered up by the public. In Buxton, the team find a pair of pistols, a yellow diamond and a Steiff bear. Browse content similar to Buxton. Check below for episodes and series from the same categories and more! Hello, and welcome to another series of the Antiques Roadshow - our 24th. from Cornwall to Scotland to Wales and beyond. This time, we shall cross the North Sea and the Atlantic, from Shetland to Canada. We shall go racing at Newmarket, and we shall see our share of stately homes. Where do we begin? one of the highest in England. but for its usefulness as a hideaway for outlaws. In the 15th century, a man called Poole kidnapped a wealthy widow and fled here to hide. He would occasionally pop out and rob passers-by, and it's said that his loot is still buried here. for over 200 years in great demand for ornamental vases and jewellery. but it's Buxton's springs that have been its main attraction. from preparing a hot bath, to say nothing of its healing qualities. that's OK with me as well. and a fitting place to accommodate his chums. The Duke modelled his crescent on the Royal Crescent in Bath. and took four years to complete. which were exercised in the enormous circular courtyard. bigger than the domes of St Paul's Cathedral and St Peter's in Rome. in the middle of the courtyard you get a strange effect called a "flutter echo". and our engineering manager really put his foot down. Instead, we're all set up in another of Buxton's fine buildings - the Octagon. You've brought a piece of eggshell porcelain that raises my spirit. I think it's fair to say it doesn't get much better than Rozenburg. How did this Dutch pot arrive in this part of the world? Well, I bought it at a local auction, along with a piece of blue-and-white pottery, but a job lot of two items. -What was it sold to you as? A kettle or teapot? We found out later that it might be a chocolate pot. -but I don't think they were ever really meant to be used. you've got that lovely loop handle, and it's almost organic, isn't it? It's almost as though it's evolved rather than it's been potted. Um, and what about these fish? In fact, everything on here is hand-painted. because storks used to nest in the chimneys of the Hague. The Rozenburg factory, from the late 19th century, also used a stork. that this is around about 1900, maybe 1905.
and the "H" is almost certainly for Hartgring. was probably designed by the head of their design - J Jurriaan Kok. Has it had any restoration? -A few little chips on the rim. probably only 5 came out. -They collapsed because they're so fragile. -Well, along with the blue and white plate, we paid £100. -Then restoration, which was a few hundred pounds. "It's yours if you're prepared to pay £1,500,"
he would snap my hand off for it. -Mm, yes. Very much so, yes, yes. I've seen a lot of scrap screens, but this is a cracking example. Now, is it something that you bought, or did it...? We bought this in about 1968, 1969.
my father starts to have heart attacks because he never knows what she's going to bring back. And even when my mother brought this back, my father just couldn't understand why she bought it. -But my mother loved the pictures. because I LOVE the design of it. and that's how you get a scrapbook - a book to put your scraps into. the early bicycles and all sorts. is framed by this lovely garland of scrap flowers. -Was that as it came to the family? -That was later in its history. -There were times when I actually used this as a dartboard. Just to occupy my free time. That's terrible! Did they ever find out? I think they're going to find out today. That's a terrible story! What were you aiming for? I was actually aiming to take the heads off. Ghastly! All right, we'll gloss over that one. is how beautifully designed it is. much more sombre in tone. on other days of the week, and this panel they only worked at on a Sunday. rather than a professionally produced screen. I wonder what your parents paid for it in the '60s? -My mother told me that she paid 30 shillings for it, or £1.50 in today's currency. they were burning Victorian furniture, they wanted it out of their houses. So 30 bob - not bad. -That's very nice. She'll be very happy. -Have you seen this signature down there? -I couldn't make it out terribly well. "Wale..."
-JP Wale. John Porter Wale. John Porter Wale was a Worcester artist. and he was very instrumental in ensuring the success of Derby. It's lovely seeing a Derby plaque here in Derbyshire. I'd almost despaired of seeing some Derby! Have you had it a long time? Yes. It belonged to my mother and before, it belonged to her aunt. -And what price have they put on it? -Um, £200 to £300, I was told. -£300 you've been told by...? I think they're undervaluing it. Oh, right, good, that sounds good. -My thoughts are certainly £1,000 plus. He's a fine artist, and it's beautifully painted. It's very interesting because it's a complete fake in every sense. but what is wrong is the shape. It was never a Moorcroft shape. -but it is designed to deceive, cos there's no such Moorcroft piece. Every week on the Roadshow you hear our experts doing a valuation on various items. but you have to subtract the commission of the auctioneer, which could be 10% or 15%. it takes into account auctioneers' commissions and dealers' mark-ups. It's the sort of difference between a selling price and a buying price. What a fantastic collection of stuff! How on earth do you store all this at home? Well, we've got it all on display in the kitchen and around the house. -Every square inch is taken up with boxes. -And what do YOU think? because it's a fantastic selection of packaging. Packaging took off in the second half of the 19th century, with new technology. so that when you're travelling, they don't get broken up. But also it's fantastic advertising. How much did you pay for it? -I can't honestly remember - it was probably about £20-ish. tins like this can fetch £300 to £500. There's a little bit of wear and tear, but it's not bad. But for you is it the value that matters, anyway? -No, it's not the value at all. it's really just the visual aspect of it, you know. Our house is like walking into a museum, people have said. When people come in, do they go, "Ooh, I remember Rinso!" -A few people do. Other people just think it's junk. -We don't. We collect everything, don't we? it's provocative memories, because you don't forget things like that. and it says here, "for painters' and mechanics' overalls, butchers' aprons and pit clothes..."
A little bit of social history that really makes things come to life. -Where do you have these? things like that, a couple of quid, but how interesting to see. It's a really exciting collection. -Thank you for bringing it in. And I want to come to your house now. not the sort of thing that you see very often. Where did you get it? It was from my father-in-law. He collected swords and pistols in the mid-'60s. He died in the early '70s and they've been in family since then. and it's a type that dates from the end of the 17th century. a function of armour falling into disuse because of firearms. and so instead of having a gauntlet to protect your hand, people put the protection onto the sword instead. because this is a chopping sword, rather than a prodder or a thruster. But a very, very nice sword and in very good condition. and it's a type that was very popular during the Thirty Years' War. and, for some reason, swords with this complicated basket-style guard are called Pappenheimers. I don't think he invented it - he was far too busy slaughtering Protestants to worry about design. because they are 17th century, good condition. the Schiavona, a little less - £2,000. -So there's the best part of £5,000 worth of swords there. The man said, "Who'll give me £1? Who'll give me 75p? -"2/6d?" And I said, "Yes, it's got to be worth that!" -And how many years ago was that? -I believe it was about 1968. My word. Well, that is not bad. And you know what it is? by a William Birch in High Wycombe in 1904. Yes, it is a William Birch chair. and they were also one of the more adventurous manufacturers. was actually commissioned by Liberty's and made by William Birch. and the designer - a man called Punnett. And they come together in this typical Arts-and-Crafts piece. What is it that appeals to you about this kind of thing? I think it's something that will last forever. It is a design classic. You can see one of these at the V&A Museum. -I HAVE seen a companion there. -Then you know what I'm talking about. -But it was mass produced, so there are quite a lot of them about. I suppose, getting on for £600 to £800 at auction. Oh, gosh, I think that's wonderful! Do you know who General Jacob was? I do now. I didn't up to three weeks ago, till I found a biography on him. and shook it into Britishness, almost. and he was a man who - like your regular scrapping with guerrillas - would do his own thing. Would he have paid for the guns himself, for the army? He would either have been presented with them, or he'd have bought them. so you'd go to your tailor and say, "I want a red coat," and then you'd go to a gun maker. and these are made by John Manton and Company. which conveniently would slip onto your belt. that were more than enough to deal with any enemy. so you could deal with tigers. for the fact that they are made by the era's greatest gun maker. and, on that basis, I think they're worth round about £10,000. And they're quite the best pair of pistols that I've ever seen on the Roadshow. -Oddly enough, this was made in the same place as that. -It's from Kutani, in Kaga province, in Japan, about 1880. -What's so nice about it is the subject matter. -I think he's an owlet, a baby owl. -What's nice is the way he's sitting there looking at his lunch. He's about to put this claw down and go, "Oh, breakfast, lunch, lovely!" You liked it too, did you? It's lovely, particularly the shape - you want to touch it. -Yes. And the colour round the back is quite breathtaking. again something you would expect from there. I think it's marvellous. -Where did this one come from? -Well, that was left to my mother. and admired it. In fact, as she went past it, she stroked it. -she left it to my mother. -I think that would fetch somewhere between £1,800 and £2,500. Well, we must continue to keep it on a high shelf. My husband bought it in an antique shop in Stockport. "I've got a portrait at home," and my husband fell in love with that. I'm not surprised. I've completely fallen in love with her in the short time that I've seen it. -I think you're aware that it's by John Graham Gilbert. -so she's obviously a Scottish girl. And it was painted in 1858. Gilbert was unusual amongst Scottish artists in that he went to Rome. He spent a lot of time in Italy. is that this very Scottish subject, to me, has an Italianate influence. not only her features, but also this deep red cloak that she's wearing. -But above all, it's those eyes. -Yes, the eyes are lovely. and the glow in her cheeks which match her lips and her cloak. The whole thing's most alluring. It's a lovely thing. -£100. But it was in the early '70s. mean that I really have to value it at between £8,000 and £12,000. Absolutely wonderful! Thank you very much indeed. ..This relates to the battleship HMS Repulse. What's the connection? -My father served on the Repulse. the Repulse and the Prince of Wales were sunk by Japanese aircraft. -The ships sank very quickly and the loss of life was terrific. How is this photograph still here? -How do we have this material? -"and must therefore be regarded as missing." 18th December? -So this came to your mother? -Yes. All the family and friends were at the house. Everybody seemed to be making a fuss of me and I couldn't understand it. Then, a few days later, we had a further telegram. -This is the 27th December, so ten days. "that your husband is safe and now recovering at Colombo." -What a wonderful New Year it must have been. -so that was a very good present for the New Year. -So how did he escape? but his name had not been taken off the ship's register. -So, officially, he was still on the ship. -So he brought back the hatband. had to go through this extraordinary ceremony where everybody dressed up and were ducked in the water. -on Her Britannic Majesty's battle-cruiser Repulse. -Very rare survival, I'm sure. -So now, when did he finally come back? and the bell rang, we went to the door and, er...there was a figure. Mother said, "This is your father." So I was quite shocked, really. Until then I had not had a father, so I was very pleased to see him. -Do you remember what you said? -but it was a joyous moment for everybody. so few people associated with the ship still alive today. I'm so glad you brought it in. I understand it's an ear trumpet. -I think that my great-grandfather used to use it. -It should have an ivory earpiece here. -Yes, it does, sort of, yes. It's very decorative, isn't it? Beautifully engraved with flowers. -And it's beautifully done underneath as well. -somewhere between £700 and possibly even £1,000. in July 1978, the very first series. and among the others - David Battie and Simon Bull. Amazing! This ought to be on the memorabilia table! Somebody ought to put a value on this! -23 series later, and nothing has changed. and shirts that came out there and a kipper tie! -Yes, the dress has changed a lot. not to show those old pictures! -Have you got sash windows at home? -There are a few round here. When sash cords go, it's a devil of a job replacing them. -So how do you keep the windows open? and the roughened area there keeps a grip on the lower part of the sill. These are portraits of a particular person. Do you have any idea who? -There's a ram or something on there. There's the clue. This is not a ram, this is a goat. -And what do we call goats? at about the time these were made. -and they are very orange, aren't they? of the Ulster persuasion and you will have the perfect client! -and going from purely ornamental supports - worth maybe £200. I know they're damaged, but that's not a huge problem. but, in fact, they're made from the pith of a tree. not for their own market, purely for the European export market. So this one here shows golden pheasants, actually. -This one shows the most fabulous moth, doesn't it? They're in fantastic condition, actually. Have you inherited these? -We have, yes - my father-in-law's. -Did he go to China? -but how they arrived there, we just don't know. -They're made in about 1850, by the way, 1850-60.
so you'd have a set of junks, a set of insects, all in different albums. -A set of courtiers and so forth. -is that it's a sample of each of the different categories. Did you know these as children? Well, we didn't actually play with them, but they were always there. We sort of looked occasionally. In the cupboard, weren't they? This is a botanical subject matter and shows...lotus, isn't it? We have the dried pod and nuts, too. This intrigued me. Were you ever shown this as a child, I wonder? That was the one we always wanted to see. Well, the thing is, they made albums of torture. somebody with a rather gruesome frame of mind. -They are. This one is the most decorative of the lot. -Oh, it's marvellous. That's my favourite one. I'm glad you said that, because this is the most saleable one. -it would be a dreadful thing, but that's life. They're going to be worth something like £2,000 to £2,500. I got my bear on my second birthday. I also had a baby sister on my second birthday. -That was clever of your parents. She was the best thing that ever happened to me. I wouldn't like to have been an only child. -Oh, good. So you were happy to have a sister? -Very happy to have her. -They don't half sparkle, don't they? Anyway, anyway, tell me a bit more about the background of them. These rings belonged to my mother, and when she died they came to me. -Did she tell you where they'd come from at all? No, I don't know the history of them at all, no. In many ways, they're all different periods. This is a very typical band ring, probably made in about the 1970s. because they have rather grey, dull, blobby looking centres to them. The reason is that they are a more simple cut - single-cut diamonds. They lack the lustre of the far more complicated brilliant-cut diamonds. and I think you can see the sparkle of that stone compared with these. than that of the full brilliant-cut. if I was selling this in auction, I might get about £300 for it. This one is a brilliant-cut diamond that weighs around about 1.8 carats. in a pretty, fussy and complicated setting of platinum and gold. -I can see that it's severely hampered by having a very nasty flaw at the side. than a stone that's a bit off-colour and a bit flawed. -around about maybe £1,400 - £1,500. And I would insure it for maybe around £3,000, as a retail price. -This bear, as you probably know, is made in Germany. -And you know he's made by the firm of Steiff? He shakes his head, but he won't growl any more. -I can hear there's a growler in there. -There's a growler in there. Um, yes. But you've probably tipped him up too many times. -Probably that was, yes, yes. so is one of the most collectable colours of all the bears. Yes, I always knew he was different. He probably dates to about 1908. My goodness! You're worth keeping, old man, aren't you? -is that it's bright yellow. because this is a fancy yellow diamond. the value of them totally transcends the valuation for a white diamond. -She referred to it as "canary". -Well, it's a good word to use. These days they use a scientific approach to establish the depth of colour yellow it has. There are different grades of yellow - fancy light yellow, a fancy yellow. The very best grade is fancy vivid yellow, and goodness me, that is a very intense colour. There is a procedure to follow to establish the grade of yellow it is. (b) that if it IS natural colour, what intensity of yellow it has. but I think this is a pretty good-looking yellow. -I think it's worth something in the region of maybe £10,000. Gosh, yes! And she used to wear it when she was doing the housework and gardening! -She just had them on all the time, didn't she? -I notice that this one is clogged up with quite a lot of dirt! -And you've already cleaned the stone! to clean that one out and have a look at it. -But, honestly, it needs to go through this procedure. It really is quite an exciting gem. Not the sort of thing one sees every day. I'm delighted you brought it. a programme that contained one or two very pleasant surprises. it couldn't have happened to a nicer place. Until next week, from Derbyshire, goodbye. 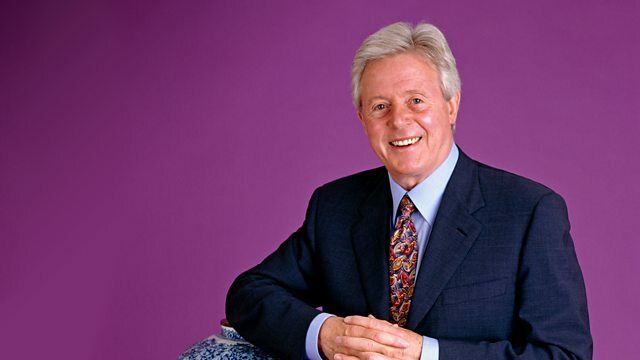 Michael Aspel and a team of experts examine curios and artefacts offered up by the public. This episode comes from Buxton and features a pair of pistols, a portrait of a girl with whom all men seem to fall in love, a yellow diamond worn for gardening but which could be worth £10,000 and a valuable Steiff bear whose sprightly owner tells Bunny Campione that she was given it for her second birthday - in 1909.